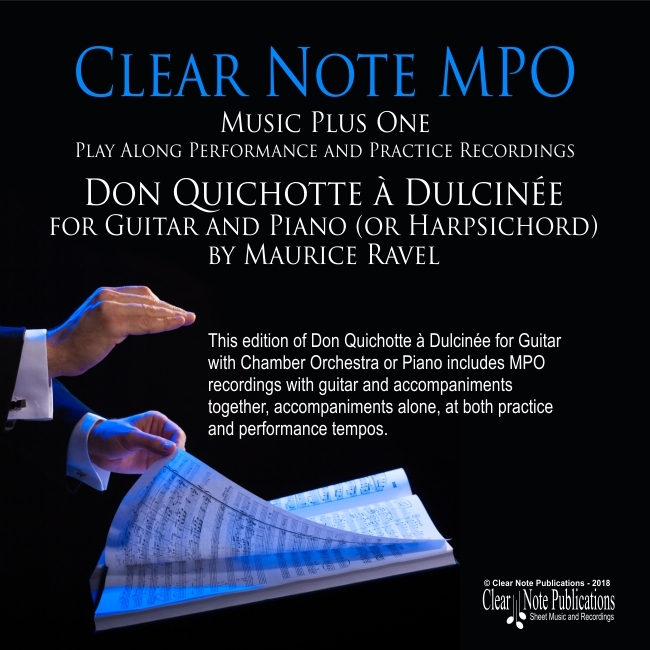 Thank you for your purchase of Don Quichotte à Dulcinée by Maurice Ravel for Guitar with Chamber Orchestra or Piano. Now you're ready to download the audio files to play along with. To get started add your order to the cart and follow the prompts through the checkout process.